I am an author, storyteller and teacher living in County Durham. 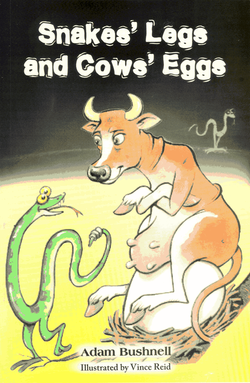 My first book, ‘Snakes’ Legs and Cows’ Eggs’, was published in 2007. I’ve now had ten books published and I love my job! I’m in a different place every day talking to people about writing, helping them with their own writing and, hopefully, inspiring a love of reading. For me, reading is one of the most important things in the world. It teaches us about our past and can help mould our future. It allows us to climb inside the minds of others and to understand why people do the things that they do. It teaches us to relate to others. I love writing just as much because it helps me to express myself in a creative way. But my most favourite thing about what I do is seeing others want to read or write. That is why I spend most of my time in schools, in museums, in libraries - telling stories and igniting writing. I run a lot of training courses for teachers too and in my shed there are just a few resources that I recommend using to inspire writing. www.story-tales.co.uk to find out more. "I use lots of talk to fuel writing. See how your class can go from telling stories to writing stories by clicking here." "I highly recommend a speaking and listening area in any classroom. Check out what to put in your Story Space by clicking here." What happens when an old man loses his magic wand. . . when a girl wants to dance at a ball . . . when a boy meets some dancing stick people . . . when a knight is sent on an impossible quest . . . ? Adam Bushnell’s delivers another eight side splitting stories. There are some of the oldest stories in the world as well as some brand new tales. Prepare to step into a world of heroes, villains, giants, talking animals and some serious silliness! King Midas . . . King Sisyphus . . . King Minos . . . These three kings were the craziest, cleverest and cruellest of all of the kings of Ancient Greece. Their stories tell the tales of Heracles, Pegasus, Icarus, the dreaded Minotaur and many more famous mythical characters. Adam Bushnell gives us eight brand new retellings of classic Greek myths. 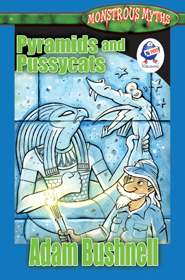 Prepare to read some of the oldest stories in the world told in a brand new way with some serious silliness! 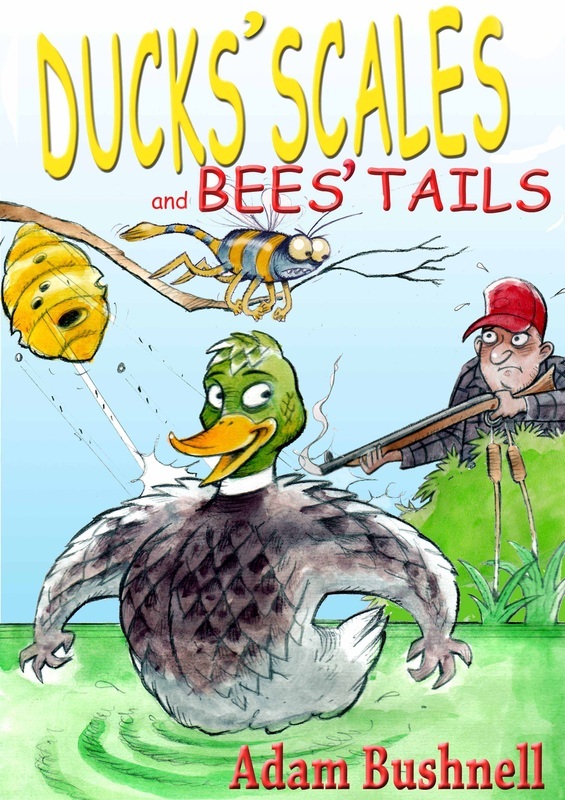 A lively and surprising collection of tales to read or to tell. What happens when a boy meets a very hungry witch. . . when an old man discovers some musical little people . . . when fire monsters try to keep the world feeling icy . . . ? Prepare to step into a world of witches, thieves, dragons, kings and some serious silliness! The Vikings and the Anglo Saxons; some of the meanest and most menacing mad men that the world had ever seen. They invaded, they settled, they raided and they meddled . . . But what they did best was to tell stories. Meet the super hero Beowulf, the cruel King Nidud, foolish Frodi and many others. Adam Bushnell gives us eight brand new retellings of classic Norse myths. Prepare to read some of the oldest stories in the English language told in a brand new way with some serious silliness! Imagine stepping into the fog of Victorian London. See the swirling mist all around you. Feel the chill in the air. Taste the fear drying your mouth. Smell the stench of rotting flesh . . . Hear the stories that will make your blood run cold. This is a book to be read in gloomy light. 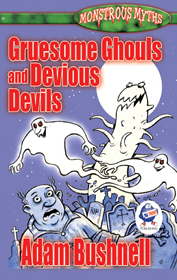 This is a book of Gruesome Ghouls and Devious Devils. Adam Bushnell gives us eight brand new retellings of classic Victorian Ghost stories. A book to chill the spine . . . and make you laugh! Author and storyteller Adam Bushnell delivers six spooky stories. These are very old stories retold for a modern audience. This is 'The Dead Storytellers' retold . . . 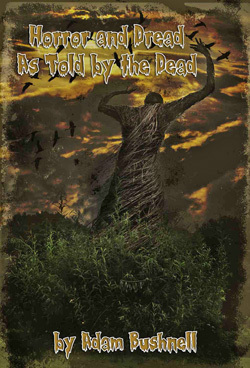 This is a collection of tales told by the unquiet souls of the dead . . Horror and Dread, As Told By The Dead. 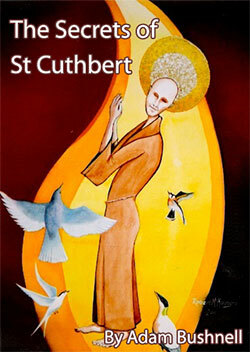 ‘The Secret’s of Saint Cuthbert’ is a fictional account of the last days of Saint Cuthbert’s life. The story begins with Cuthbert about to die. But the animals, which Cuthbert so loved throughout his life, do not wish this to happen. They each take turns telling Cuthbert a story in order to keep him alive. There are many tales about Cuthbert communicating with animals and I have selected the animals best associated with the saint’s life. The stories can be best categorised as ‘wisdom stories’, that is, stories that have a lesson attached to them. The stories originate from around the world and are traditional tales from many cultures and religions, thus representing the great wisdom of the world. What happens when a giant and his mother want a new slave. . . when a pirate bully explores a treasure island . . . when a monstrous worm terrorises the country . . . ? Prepare to step into a world of witches, giants, kings, monsters and some serious silliness! Prepare to step back into ancient history. This is a realm of pharaohs and kings, gods and monsters, battles and bloodshed. Prepare to meet the myths of Ancient Egypt. Adam Bushnell delivers nine brand new retellings of very old stories. These are stories of treachery, cunning, love and friendship told in a brand new way with some serious silliness! What happens when you sneeze with your eyes open . . . when a woodcutter meets a dragon . . . when a bully meets some bad fairies . . . ? Adam Bushnell’s eight hilarious stories bring together characters from all over the world. Familiar faces such as Anansi and the Thunder God take their place with larger than life new characters such as Ching Ping and Cooky the Bully.